I’ve been pondering about what it takes to feel like an insider in a community. 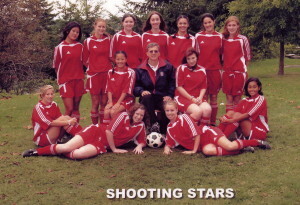 I certainly felt like a strong part of a community when I coached the soccer team of my daughter, Mariko. Our team, the Shooting Stars, was made up of a wonderful group of kids and great parents, and somehow we managed to win the city championship in Seattle for five years in a row. It was recreational soccer, of course. Still it was very exciting. Now those girls have gone their different ways. Some are doing great. Others have faced challenges. I am no longer part of their lives. I’ve remained close friends with most of the parents but as a community, it has largely dissolved. When my son was a Boy Scout, I got involved in the troop, and that was a nice community. We suffered together when we went ice camping, we cleared part of Discovery Park and planted native plants and we helped each others kids get merit badges. Again, it was a strong, if temporary community. Being the editor of a local magazine has helped. In past jobs I would seldom talk to the same person more than once. Now, since I cover the local community, I frequently run into the same people again and again. People I have met in interviews or in business settings have become friends. And since my magazine is local I have more reason to follow local issues. That, too, has made me feel more a part of the community. Yesterday, a young couple moved into their new house a couple doors down. When I welcomed to the neighborhood, I realized that after 25 years in this house I really am one of the old timers in the area. I told them about the people in the neighborhood, including our amazing neighbor who has been nurse, national champion cross country skier, master carpenter, pastry chef and now artist. I told him about someone down the street who could cause trouble. I told them about the block parties we do annually to reconnect. Now I’m leading an effort to build a walk and bicycle trail that will link our Magnolia neighborhood more directly with downtown Seattle. It’s touchy because some neighbors in the area do not support the project. They worry they will lose their privacy if more people walk and bicycle past their houses. Today I walked the neighborhood going door-to-door to listen to their concerns. I now understand how they feel. But I still feel strongly that the trail through city-owned parkland will benefit the whole community and I’ve put a lot of effort into it. We hold regular meetings, we’ve put up a Facebook page (Magnolia Trail Community) and we received a $25,000 grant from the city of Seattle to hire a consultant to look at potential environmental and city permitting issues. There’s been great community support for the trail. A member of the city council recently called me and asked to walk with me along the site of the proposed trail. As we push forward with this effort I’m meeting many of the core people in the community who get things done. Turns out there are a couple dozen people who are involved in just about every improvement project. Now I am one becoming one of them. It feels good to be doing this. I’m beginning to feel like a real insider and I like it. Foreigners in Japan seldom have opportunities to get involved in projects like this. And it may be one reason it’s so hard to feel part of a community. I was heartbroken to learn recently of the death of my good friend and mentor Kiyofuku Chuma. I first met him in 1977 when he visited my mother, who occasionally hosted visitors of the state department. I had just graduated from college and was considering a career in journalism. Chuma-san had already been a reporter at Asahi Shimbun for 17 years. “Come work in Japan,” he said. “I will make all the introductions you need.” He was true to his word. When my wife Marie and I went to India a year later, he introduced us to the Asahi Shimbun correspondent in New Delhi who promptly invited us to a charming sitar concert at his home. When I arrived in Tokyo to work as a correspondent for Business Week, Chuma-san introduced me to then Finance Minister Noboru Takeshita and I spent a memorable week following Takeshita around on the campaign trail and had dinner with his family. Chuma-san was patient with me as I tried to understand the complexities of Japanese politics. He was quite upset when I wrote a story about a yakuza boss’s involvement in the relief effort in Kobe. Chuma-san thought the story reflected too positively on the gangster. I don’t think I ever measured up to his high standards, but he was always generous with his time and counsel. And he was a warm and open-hearted man. 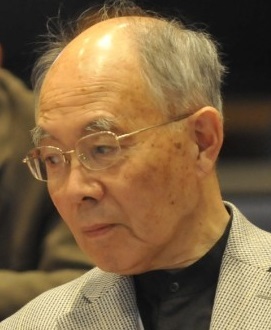 Chuma-san was well regarded in the journalism world and became chair of Asahi Shimbun’s editorial board in 1994 and executive editor in 1999. Even after he retired from the Asahi Shimbun, he continued to work in journalism, taking a job as chief editor of the Shinano Mainichi Shimbun in Nagano Prefecture. It meant being away from his wife and grandchildren, but he said he enjoyed helping the local reporters improve their work. Can it be that 38 years have passed since I met that gentle man in Oakland at my mother’s house. The last time Marie and I saw him, two summers ago, he took us to a very elegant Japanese restaurant where the sake and dishes kept coming for hours. I remember waving to him as Marie and I turned to catch our train. I felt a tug at my heart, and a strange premonition that I would not see him again. It was odd I had felt that way since it was his wife who had recently been sick not Chuma-san. Now he is gone and I feel a deep loss. It is a loss that feels greatly magnified because Chuma-san and his wife were such an important connection for me to Japan. But I am also reminded how few truly precious friends we have during our short lives and how important it is for us to treasure them while they are still with us. Is international adoption really such a terrible thing? It was with great sadness that I read Maggie Jones’s cover story in the New York Times Sunday Magazine Why a Generation of Adoptees is Returning to South Korea. The story describes how hundreds of South Korean children adopted by American families have returned to South Korea in search of their roots. As an adoptive parent, it always pains me that no matter how much love we give our children there is always that strong desire among our adopted children to reconnect with their biological parents. Over the years, it’s something I’ve come to understand and accept. And although I know it would be difficult for my two adopted children to find their biological parents given Japan’s adoption system today, I would fully support them should they choose to take that journey. I understand the sense of alienation expressed by many of the adopted children in the story. My children experienced many of those same feelings. Although I am one quarter Japanese, I look white. My wife is also white. So every time someone saw us as a family, there are always questions–people are always trying to figure out how we are related. This was very difficult for the children when they were growing up. When we took our children back to Japan for four months and put them in Japanese schools, they loved the experience. Today, however, while the children feel close to Japan, they see themselves as American. They have been to Japan enough times to know that they are culturally very different from the Japanese even though they may be ethnically Japanese and have a pretty good understanding of Japanese language and culture. What I find the most sad about the adoptees quoted in the article was the feeling among some of them that all international adoption is bad and that it should be shut down. Few people doubt that children should be adopted first in families from the same country. But if that is not an option, and that is the case in many countries, it seems unfortunate to cut off the option of international adoption. In the case of Japan, for example, there is still a stigma attached to adoption and so there are very few parents interested in adoption. There is a widespread feeling among many Japanese that adopted children are of a lower class and therefore not as smart. In many cases, children would be raised in an orphanage if outside families hadn’t chosen to adopt them. In the case of my daughter, she was 3 years old when we adopted her. She was very strong willed. While that is a characteristic we like in Japan, it was an attitude the adoption authorities in Japan believed would make it difficult for her to fit into a Japanese family. My book, Yokohama Yankee, touches on many of these adoption issues. I talk about my own initial difficulty in embracing the idea of interracial adoption coming from a family that has long denied its mixed heritage. I write about the challenges my children have had, but also their successes. Later this year, my book will be translated in Japanese. My hope is that Japanese couples who read about my experience will recognize what a joy it can be to adopt and choose to adopt themselves. It takes courage because families who adopt often find themselves shunned by relatives. Of course the ideal thing is for children to be adopted by parents in their own culture. But until a society is ready to embrace those children, international adoption is the best chance that children in orphanages have to be raised with all the love that parents can give. As excellent as the orphanages in Japan are, there is only one adult for every 10-15 children so there is no way staff in an orphanage can provide the love and attention that parents can. If some children are put up for international adoption and some portion of them experience some sense of alienation, that is unfortunate. But it’s hard to argue that those children would be better off in orphanages. Some of the adoptees say countries like South Korea should do more to make sure that children who are abandoned or placed in orphanages are raised by South Koreas. I totally agree. And I am fully supportive of their efforts to tighten adoption laws so no child is “taken away” from a family. But until more people from a country choose to adopt children in orphanages, international adoption must be left open as an option. For many children, it’s the only chance they have to get the love that they deserve. From this ashes of World War II rose this group of Germans, Japanese and Americans who traveled the Japanese countryside and called themselves the “Inubashi” (dog bridge) after the name of a room they once stayed in. Quite by luck, one of those strange incidents that can change ones life happened. 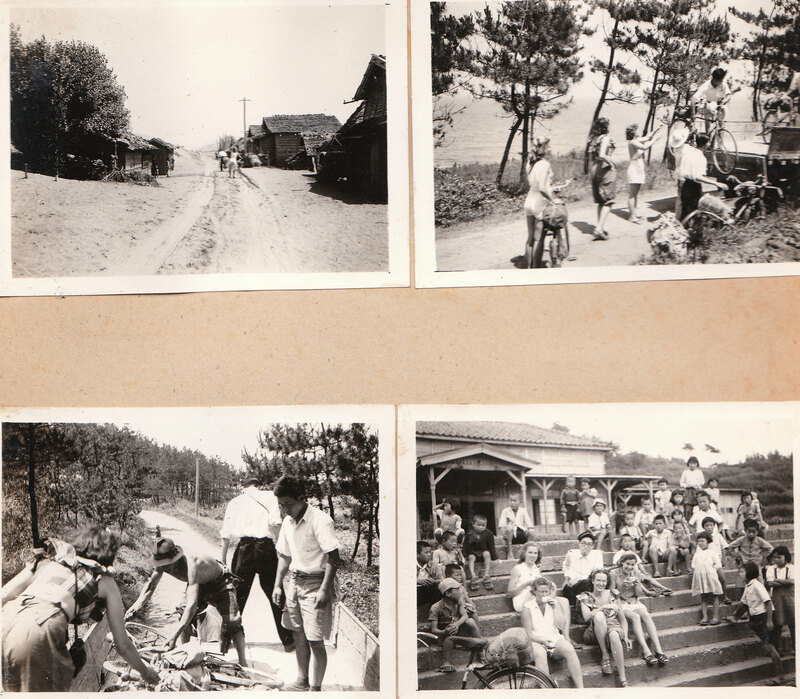 That was the beginning of the Inubashi, a small group of young German, Japanese, and American people. But I will have to begin from the beginning for that story: In one of the women’s billets where non-military female employees of the Armed Forces lived, I think it was called the Osaka Building, there was a room which housed five young women called Carol Chambers (from California), Barbara Vestal (from California), Marjorie Murphy (from Minnesota), Kay Russell (from ?) and Yoshi Nakandakari (from Okinawa). It all started with Kay Russell, who worked in the Department of Information and Education with, among other people, a Japanese gentleman. This gentleman invited Kay to his home for dinner one day. After dinner photo albums were brought out to show Kay a little about the life of the family. Among many photos were some of two Caucasian children, a boy and a girl. This was interesting to Kay and she asked who these children might be. They are the children of my former teacher was the answer. Kay was curious: Where do they live? When she was told that they were living in Tokyo, she asked whether she could meet them. These children were Roland and I, and Mr. M. (I wish I could remember his name) invited Kay, Roland and me to dinner, so that we could meet. Thus we got to know Kay, and later her roommates Carol and Barbara. 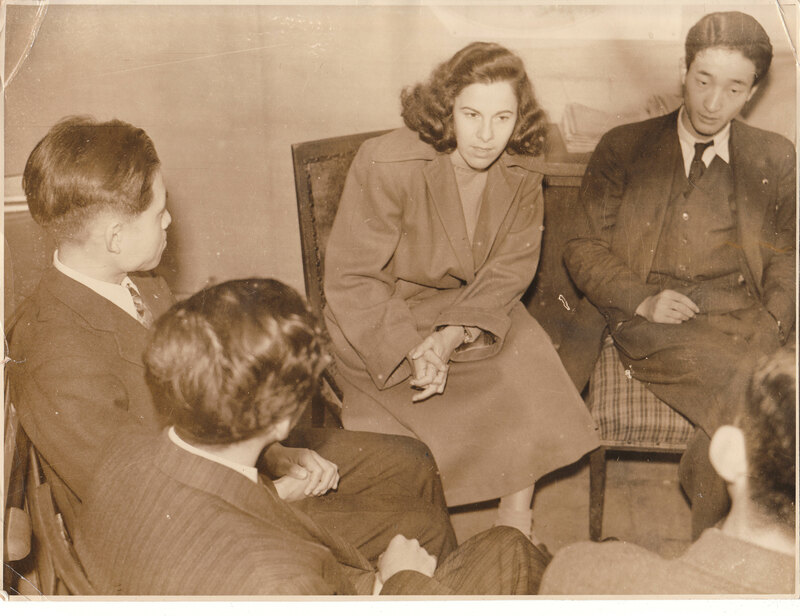 At that time Carol and Barbara were teaching two young students of Tokyo University English: Ken Ikebe and Toshi Muto (both later joined Japan’s foreign service, and Toshi was ambassador to Moscow and London among many other postings – but became the first one of our group to die. Ken was consul general in Seattle at one point, ambassador to New Zealand, and a member of Japan’s UN mission in Paris when Roland, Jane, Don and I visited there in l951.) 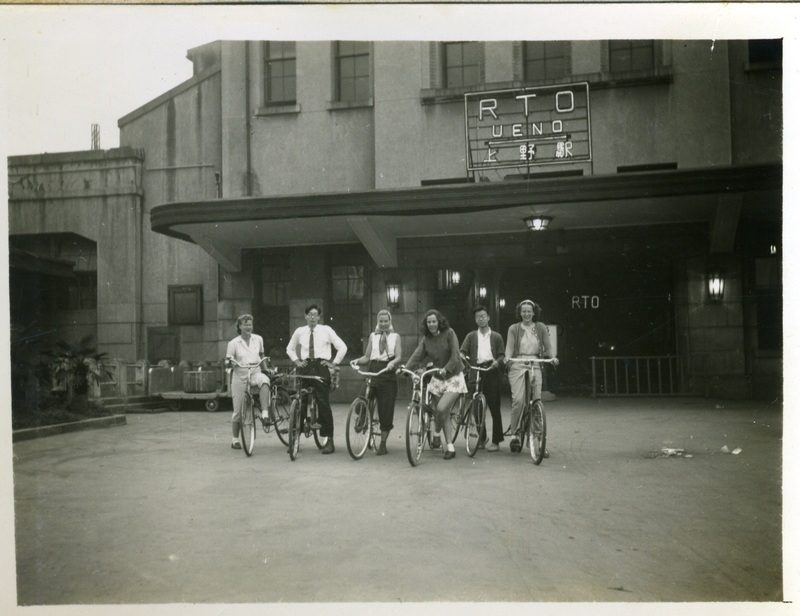 One day, Kay, Barbara, Carol, Roland and I decided to go on a bicycle trip over the Thanksgiving holiday. The American girls suggested that we include their two Japanese students, and Roland and I decided to ask Keiko Hiratsuka and our friend Horst Schneewind to join us. 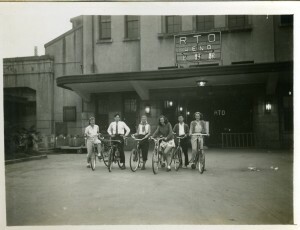 Everything was quickly arranged – everybody had a bicycle, and the date was set. We decided to meet at Yurakucho station. We never inquired how to get our bicycles on the train: we just took them onto the platform and into the coach. Americans were still able to get away with many things other people couldn’t get away with. Nobody knew that Roland and I were not Americans, and the Japanese students were part of our group. We had decided to bicycle along the coast of the Izu Peninsula. We took the train to Mishima at the base of the peninsula, at the foot of Mt. Fuji. Our first stop was a small inn which we found by chance on the south-eastern coast of the peninsula. It was on a slope and we had to carry our bikes down an incline (were there steps?) and up again the next day. We had army K rations for dinner, augmented by some tangerines given to us by a Japanese gentleman who had the room next to ours. (We gave him some K rations in exchange.) Back on the road the next day we ran into a man who had just shot a pheasant. We offered to buy it from him and Roland carried it slung by a string over his shoulder. That day we made it to Shimoda, a harbor town at the tip of the peninsula. There we had the cook prepare our pheasant which we ate along with our Japanese meal for our Thanksgiving dinner. One of our two rooms at the hotel, I think it was the one for us girls, had the name “Inubashi” above the door. At the inn there was also a room with ping pong tables. Above the door to that room was a sign that read “Ping Ponog Room.” After dinner we decided to play ping pong, and held the “Inubashi International Ping Ponog Tournament.” At Christmas, one of the Japanese young men, Toshi Muto, sent us a card addressed “To the members of the Inubashi International Ping Ponog Tournament.” Thus was born the future name of our group “the Inubashi.” Father soon became the “Oya-Inubashi” (Elder Inubashi), and joined us on many future trips, including a bicycle trip on which someone in our group always had our father on his bike (my father’s eyesight was too poor for him to be able to ride a bike). At one point one of our group, Hans Crome I think, stopped a truck and got a ride for father and his bike. It was on this, our first trip, that we started singing. Barbara Vestal (who was one of the girls who shared a room at the Osaka Hotel) was a music teacher and taught us many songs, and directed us. Toshi Muto taught us, of all things, a German round. From Shimoda we took a ferry back to the mainland, and everyone on this boat had to perform something (doing this is quite popular among Japanese). Most people sang something. So this was the first time we sang with an audience, and with that started a tradition. A friend of Carol’s from San Diego, who was working as a civilian for the army, was also very musical and was allowed to play the organ in the Tokyo Mitsukoshi Department Store after hours. The “Inubashi” went to hear him and he soon became a member. Wherever we went, we sang. We sang together, several times for our friends, and once on stage at some Japanese concert or competition. We practiced every week, and when I came back to Japan after marrying Don, they (the remnants of the Inubashi) were still singing together, and I often joined them. I could write endlessly about this period, so much went on all the time, always new and old faces, always new experiences. I have just been reading in my diary again. I had forgotten a great deal; for instance that father had been teaching German to Kay Russell and Doty. Once a week they came to our place for their German lessons and stayed for several hours, having dinner with us. It was at that time that I was teaching both at the Waseda English Speaking Society and at Kawamura Girls’ Middle School. Someone got me a VIP ticket to the trials (where I had worked) and I saw and heard Konoe being interrogated. I also describe a completely new experience for me: watching an American football game. I even went to the horse races for the first time in my life. Another new experience was watching a boxing match and seeing one of the fighters at the end of the match take out of his mouth what I thought were his teeth, but it was his toothguard. I often spent the night with the girls in the Osaka Hotel when I had been out in downtown Tokyo. When many of the Germans in Japan were sent back to Germany by the U.S government, because they had been in the Nazi party , I took over a baby-sitting job from Mrs. Fellmer. She was the wife of a German conductor and musician who had worked and taught in Japan for a number of years. 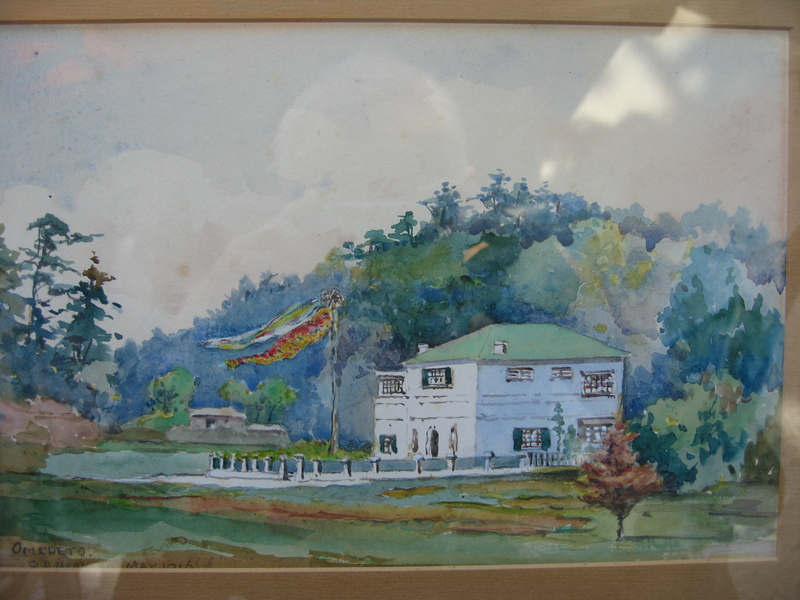 Mrs. Fellmer had babysat for Col. and Mrs. Hammerle’s two children for one year. When the Fellmers left for Germany I took over her job and babysat for about a year until the Hammerles returned to the United States. 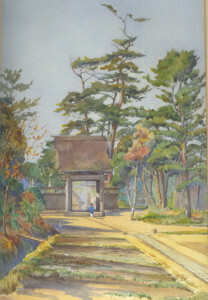 They lived in Washington Heights, and sometimes I took the children on walks in the grounds of the Meiji Shrine nearby. I liked the whole family and enjoyed very much looking after the children. I learned a great deal about small children. Corky must have been about 3 or 4, and Holly was a toddler, still in diapers. After they left I stayed in touch with them for several years. I wonder where and how they all are now. The parents were quite strict. Once, when I was having lunch alone with the children, Corky said “Lets play house.” I said OK , and Corky banged his fist on the table and said: “God damnit!” I had never thought that Col. Hammerle would use such language, and I had to laugh. I enjoyed my time there. I often had dinner with them and ate so much that I got into the habit of drinking my after-dinner coffee black. I got to take home the bacon drippings which came in very handy for our cooking. 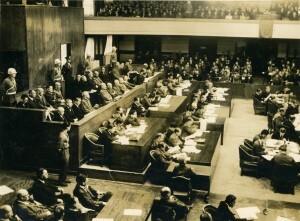 As I mentioned, the American authorities decided to send back to Germany all Germans who had been Nazi Party members. Our family friend, Dr. Seckel, a teacher of German at the Kotogakko in Urawa, who had joined the party for practical reasons, was also repatriated. All the possessions of these unfortunate people were confiscated and they were allowed only 350lbs of baggage. 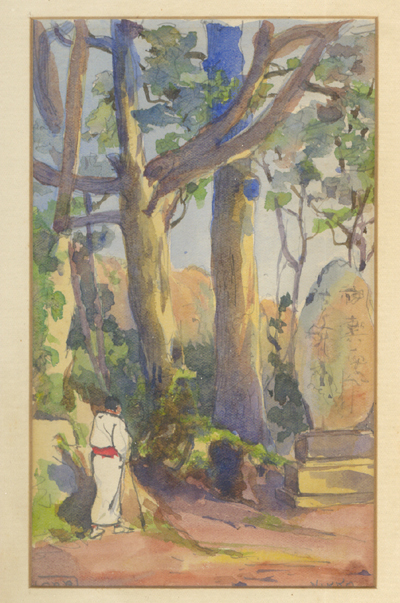 Mr. Seckel was an art historian and had an extensive library of lovely art books. All the things confiscated by the Americans were then auctioned off. Mr. Seckel had a brother who was a professor at the University of Chicago who wired money to buy back these books. Mechtild, being married to an American major by then, was able to take part in the auction, so she got back Mr. Seckel’s books for him. Since he was sent back with very little baggage, I assume that my father sent his books to Germany for him. Father wanted very much for Roland and me to go to college, but our Japanese was not good enough to study at a Japanese University, and it would be impossible for us to find a place to live and study in Germany. 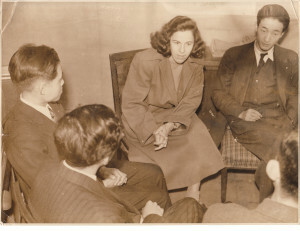 We discussed these problems with our Inubashi friends, and one of the original four members from the Osaka Hotel, Kay Russell, offered to sponsor Roland. We were happy and grateful to accept her generous offer. The money for the fare came from a Canadian life insurance policy that father had taken out years ago. The insurance company (Sunlife Insurance?) had very thoughtfully continued to make the payments throughout the war from the money that would be due him. Kay Russel’s roommate, Carol Chambers, suggested Roland stay with her family in San Diego, when he first arrived. Roland’s trip and first months in the States are described by Roland elsehwere, I think. 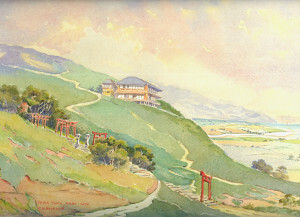 What impressed me greatly, however, and what made me certain that Roland could take care of himself, was the following occurrence: Roland’s ship was to go straight to San Francisco, but soon out of Japanese waters he was told that the ship was to stop in Tsingtao, and that he was to pay an additional fare. But Roland argued that he had boarded the ship expecting to go directly to San Francisco and that he had no intention of paying more, and the agency finally agreed not to charge him. I was so proud of Roland when I heard this; now I knew that my little brother could take care of himself. We all missed Roli, but we knew that it was good for him to be in the United States. Now Father and I were alone with Tsunesan. I know my father missed Roland very much. But since he had become a member of the Inubashi, he was never lonely for long, and I was with him till I, too, left about one year later. Since I remember very little of that period I will review what I wrote in my review of the Year 1949. It was a year full of a variety of happenings, interesting, I learned a great deal, and it also brought a lot of fun and many sociable times. A year of enjoyable activities with young people. 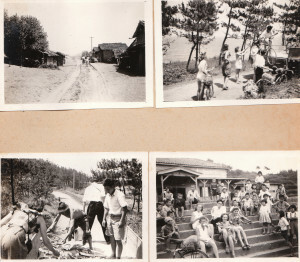 Group activities of the Inubashi included ski-trips in winter, weekends in Karuizawa at Mrs. SchneewindÕs (mother of a schoolmate of ours), folkdancing, Inubashi parties, swimming, hiking, trips by car in the spring and summer, bicycle tours in the spring and summer, our singing and the creation of the “International Singers.” There were the monthly meetings in which we discussed politics, started by several of us who had taken part in the Quaker International Students’ Conference, and the American Students’ Conference. 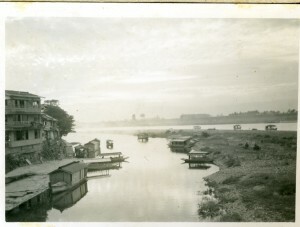 The latter included the young people who had come from the States as missionaries called the J-3s because of their commitment to stay in Japan for three years. Exciting for me was an invitation to speak in Hibiya Hall for a UNESCO meeting. I spoke briefly in three languages, German, Japanese and English. I went out with many different interesting and not so interesting people, fell madly in love with a young Dane just a few months before my departure from Japan and had to leave with a broken heart. My mother worked for the Tokyo War Crimes Trials translating documents that were sent from Germany and used by the U.S. occupation to try the Japanese. I’m not sure if Mother took this picture or received it from a friend, but you can see former Prime Minister Tojo right there in the center. This was, of course, victor’s justice. U.S. military officials admit that if the U.S. had lost the war, U.S. generals would have been tried as war criminals for the fire bombs they let drop on cities across Japan killing hundreds of thousands of civilians. I will be doing a reading from Yokohama Yankee at the University Bookstore on December 13 at 2:30 p.m. Also reading will be authors from several Seattle indie publishers. Here is the press release put out by Chin Music Press, my publisher. Seattle, Washington – University Bookstore will present the inaugural “Seattle Indie Publisher Book Bazaar” on Saturday, December 13th, 2014 from 1:00PM—4:00PM. Joining the book bazaar will be Seattle City of Literature, the nonprofit organization dedicated to securing Seattle’s bid to be designated a UNESCO City of Literature. Author and Executive Director Ryan Boudinot and Managing Director Rebecca Brinson will answer questions about Seattle’s involvement with the UNESCO Creative Cities Network and will share books by authors from Cities of Literature. In addition, participating publishers will host a signed book raffle, in which one signed title (or more) from the presses will be raffled off each hour. The raffle is free to enter. All presenters will be available for book signing after their performance. Free gift wrapping services will be provided for all purchases by University Bookstore staff. The book store cafe will also be serving hot beverages and snacks for visitors to enjoy. University Bookstore is located is located at University Avenue and 45th. Parking in the University Bookstore lot on 43rd and 15th will be validated with proof of purchase. 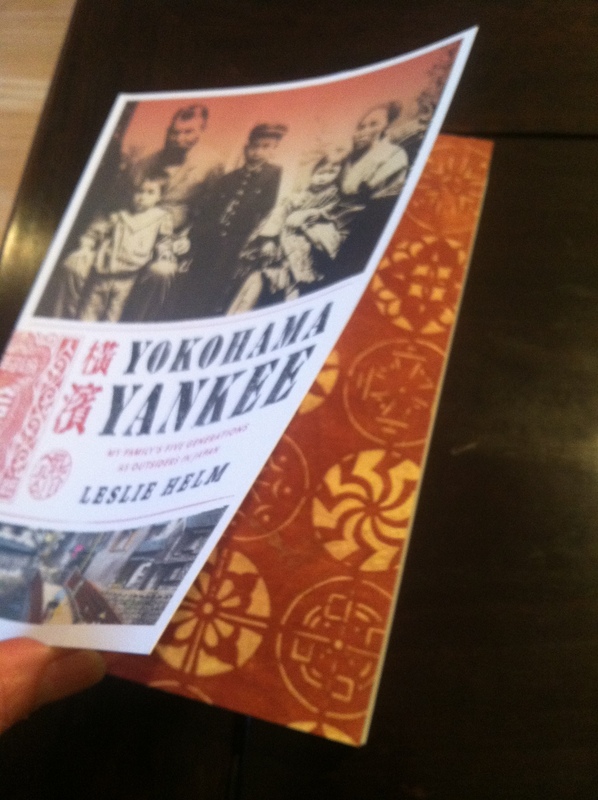 Yokohama Yankee book talk at Pacific Lutheran University on Saturday, September 27th at 10:30 a.m.
Leslie Helm tells the riveting story of five generations of his multinational, biracial merchant family living in Yokohama in war and peace. 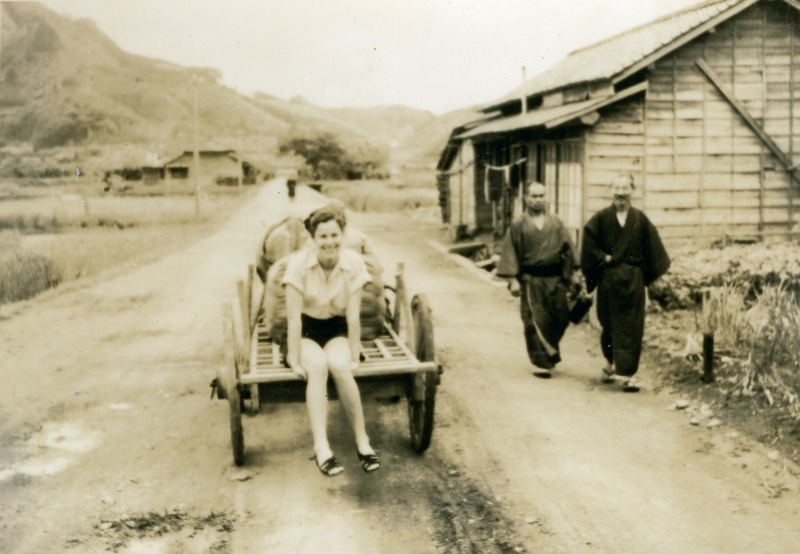 Leslie’s great grandfather immigrated from Germany to Japan. Helm’s family’s history sheds light on the political, economic, cultural, and racial interactions and tensions between Japan and the United States. Leslie Helm will be speaking about his book, Yokohama Yankee, at Pacific Lutheran University on September 27th 10:30 a.m.
Born and raised in Yokohama Japan, journalist Leslie Helm ‘s decision to adopt Japanese children launched him on a journey through his family’s 140 years in Japan, beginning with his German great-grandfather, who worked as a military adviser in 1870 and defied custom to marry a Japanese woman. 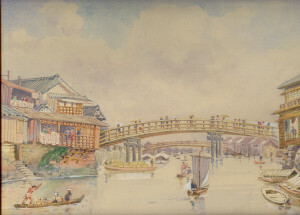 The family’s experiences of love and war helped Helm embrace his Japanese and American heritage. Class is offered by Learning Is Forever. In any case, Jaochim’s new position allowed him the luxury of educating his children. My great great grandfather, Johann Theodor J Helm, was sent to study the law. Turns out that reading the law gave him awful headaches so he gave it up, using his inheritance to buy a 500-acre farm in Rosow in about 1825. 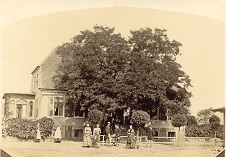 At the time, Prussia was developing rapidly and many residents were moving eastward, often displacing the Polish residents who lived in the area. According to family legend, Johann was visiting the town of Stettin to pay rent on 100-acres of meadow land that he leased from the church when he saw a beautiful 10-year-old girl standing on the balcony of her home and promptly fell in love. So in love was he that he waited ten years until she came of age to propose marriage. Their first son was Julius Helm, my great grandfather. 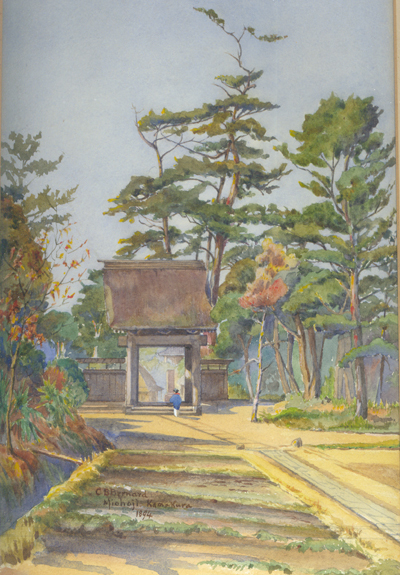 Julius, who was trained as a farmer, fought in the Austro-Prussian war, worked as a military adviser in Wakayama and started Helm Brothers in Yokohama. 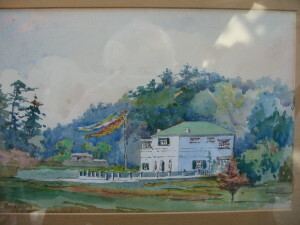 His siblings were also scattered about Germany and Japan, and the Rosow farm was sold. Many years ago I came across the website for Rosow. I contacted the webmaster who turned out to be the mayor of the town, which had shrunk to a population of 70, perhaps even smaller than it was in my great grandfather’s time. The mayor thought the barn from my great grandfather’s farm might be still standing. Now I’m heading back to Eastern Europe and I hope to visit Rosow and find that barn. As I start my research, the only reference I can find to the town is a story about how the depopulated village was now finding new residents and wealthy Poles were coming across the border into Germany and buying up farms and homes in the village. What goes around comes around. These pictures come to me courtesy of Chris Ritter. He and his sister own them. His grandfather, Paul Ritter, was the first Swiss Consul in Yokohama and was later promoted to Ambassador to Japan. His family was close to the CB Bernard family. Chris was born in Honmoku in 1935 and his father Max was born in Yokohama in 1902.